Thanks to some good feedback from the community and also some really awesome help from Glenn Block and Sasha Barber, I added some new stuff to MEFedMVVM. Before this patch you had to close and re open Blend everytime you did a change in your ViewModel for Blend to pick up this change. Chris Szabo sent me a code snippet showing me how I could overcome this issue. Very cool Chris!!!!! – Added a new method in IComposer so that you can specify a list of custom ExportProviders. 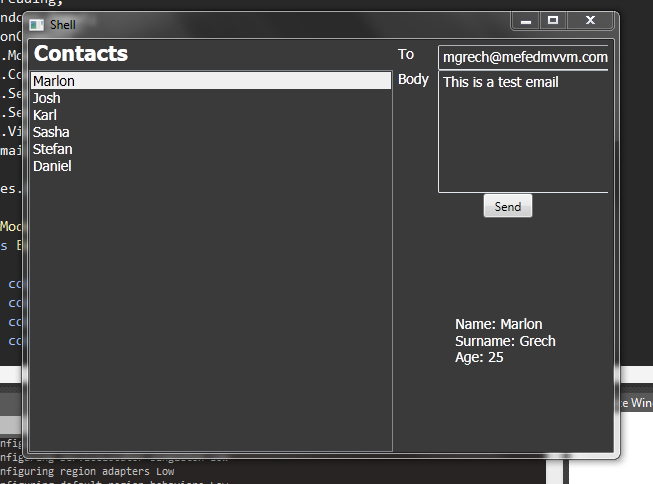 – Added 2 new attached properties to make things more clear. By default Exports in MEF are treated as Shared. This implies that if before you did an [ExportViewModel(“MyVM”] without specifying a [PartCreationPolicy(CreationPolicy.NonShared)] the ViewModel would be exported as a shared item so all imports get the same instance of the ViewModel. Also this implies that the ViewModel would never be garbage collected since MEF will keep its instance alive. The workaround for this would be to specify [PartCreationPolicy(CreationPolicy.NonShared)] where you put the ExportViewModel attribute. Once you know this its all good but if you are new to MEF maybe it is not that obvious that exports are by default Shared. So in order to make this crystal clear I added 2 new attached properties SharedViewModel and NonSharedViewModel, which will impose the CreationPolicy on the ViewModel you want to export (this is like doing the CreationPolicy on the Import if you were doing standard MEF). Glenn Block came up with this idea, kudos to Glenn!!!! – Export for ViewModel had an incorrect ImportCardinality. now the ImportCardinality is set to ExactlyOne. – DataContextAware ViewModels used to call the DesignTimeInitialization 2 times, this is now fixed. – Exposed the MEFedMVVM CompositionContainer, you can now access the CompositionContainer directly by doing this ViewModelRepoitory.Instance.Resolver.Container. This is useful if you want to get some Exported object from the CompositionContainer that MEFedMVVM is using. – Fixed issue with ImportMany. This was a problem in the ExportProvider of MEFedMVVM. Hope you enjoy MEFedMVVM and as always keep feedback coming ! The INotifyPropertyChanged is what tells the WPF/SL binding that a property changed and that the binding should be updated. For this purpose its quite good. But what many times we end up doing is; handling the PropertyChanged in code so that we get notified that a property changed. 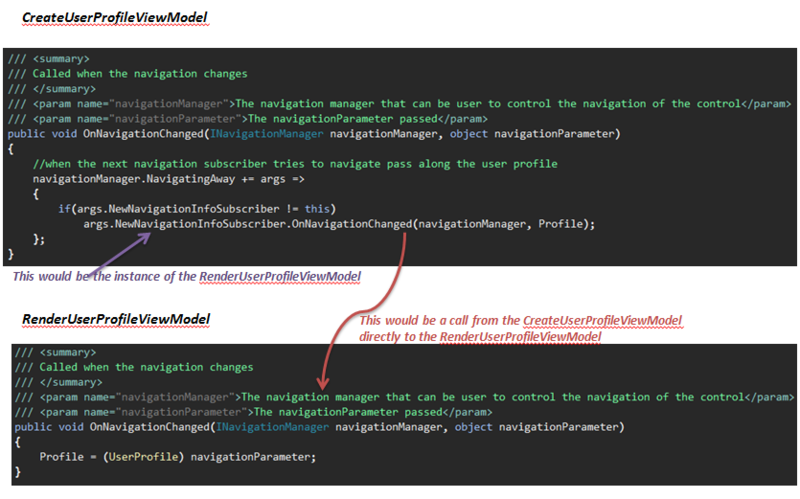 An example is a ViewModel that need to know when a property in the underlying model changed and if it did it will do something to facilitate the View. Another problem is that if you use an anonymous delegate you need to do loads of tricks in order to unregister to the event. In order to over come this I created a PropertyObserver that handles these 2 issues. (Please note that there are already others, Philip Sumi has a good one here and Josh Smith has a good one here. I created my own since I wanted to have extra + different way of doing it). Also this problem can be solved easily using Rx, I am doing this sample so that you do not need to depend on Rx. as you can see here I am wrapping the call in a using statement… but if you need to unsubscribe in any specific state you can store the IDisposable that you get from the Do call and call Dispose to unsubscribe. Big thanks go to Diego Colombo and John Rayner (two champs that work with me) for the help and input they gave me on this 🙂 You rock guys! OR if you have MEFedMVVM download the latest version since its in MEFedMVVM. Having solid unit tests is key to have successful projects. When these projects get really large and especially if there are several developers on the project. Once you get used to unit testing you feel un-complete if you do not unit test your code. One of the virtues of the Art of Unit testing is Mocking. Mocking is really important while you are unit testing so you remove all the dependencies of the code you are testing and you just test what you really want to test. “Testability” is something that I take very seriously and in MEFedMVVM it was no exception. Unit testing best friend is Dependency Injection(since with this you can mock all the dependencies); MEFedMVVM leverages MEF thus this comes for free. Having said that what is also really cool with MEFedMVVM is that all services exposed can be mocked. By services I do not just mean backend services (example a service that connects to a DB to load data) but also UI services (or as I usually refer to them MEFedMVVM IContextAware services). 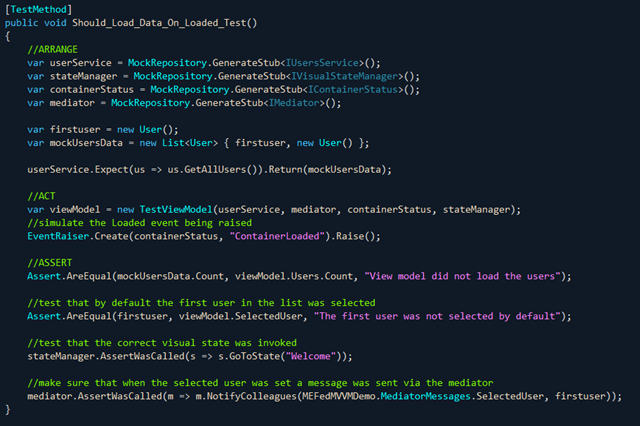 Here is a sample unit test (you can see this in the source code of MEFedMVVM) Please note I am using Rhino Mocks as my mocking framework for this sample. As you can see in this test I am testing that when I set the SelectedUser property on the ViewModel (which would be updated by binding at runtime) I send a mediator message. I can do this because the Mediator that comes out of the box with MEFedMVVM is exposed as an IMediator thus I can easily mock it and test that I am doing the right calls to the Mediator. As you can see in the above code, I am testing that when the ContainerLoaded event (which is an event in the MEFedMVVM IContainerStatus an IContextAware service that abstracts the Loaded and unloaded event of the View) of the IContainerStatus is raised, I am setting the “Welcome” state via the IVisualStateManager ( which is another MEFedMVVM IContextAware service that lets you set a specific VisualState on the View). I am also testing that the first user is selected by default and that my data is loaded. I think the fact that I can mock any dependency that my ViewModel has (even if it is a “UI” thing) is a really powerful thing! Currently MEFedMVVM is helping me and my team a lot and we are finding that Unit Testing with MEFedMVVM is really awesome. Having said that if you have any comments/suggestion on how to make testing easier with this library, Please do let me know. Some content may be out of date. See latest blog on changes made here. As you already know, MEFedMVVM is capable of composing the catalogs for you so that you do not have to worry about it both in Silverlight and in WPF. The composition happens a bit differently in SL and WPF so I will divide the “How to write a composer” section in 2, how it works for SL and how it works for WPF. But first let’s see what is common. Please Note: This article is for advanced scenarios of using MEFedMVVM if you are using MEFedMVVM with its default behavior you do not need to do this since by default MEFedMVVM does the composition on its own. Yet if you want to have a silverlight app that uses multiple XAP files or a WPF app that is loading dlls that are not referenced by the main application and that reside somewhere else then the exe directory (or even Extensions folder of the base directory). If you have been looking in the code of MEFedMVVM you’ll know that there is a class called LocatorBootstrapper. This class is responsible of checking if the MEF composition is done and if not I will ask the Composers to do so. The “Composers” ? What the hell are these?? Basically these are instances of IComposer and there are 2 of these in the LocatorBootstrapper, one for DesignTime composition and one for Runtime. By default MEFedMVVM uses its own implementation of the IComposer which are DefaultRuntimeComposer and DefaultDesignTimeComposer but if you want to do something smarter (I will talk more on this later in the article) you can call the ApplyComposer method of the LocatorBootstrapper and inject a runtime composer that you implement. You must make sure to make this call before anything gets composed. A good place to do this is in the Application class constructor. In the current version you cannot supply a DesignTime IComposer. I could have made the ApplyComposer API to accept another composer for DesignTime yet this method would be called always too late from Blend. I am currently working on a solution for this. Having said this, I do not see why you would want to override the default DesignTime composer since you still have control. I will talk more on this later in the post but any assembly marked with the DesignTimeCatalog will get picked up and loaded by the DefaultDesignTimeComposer. 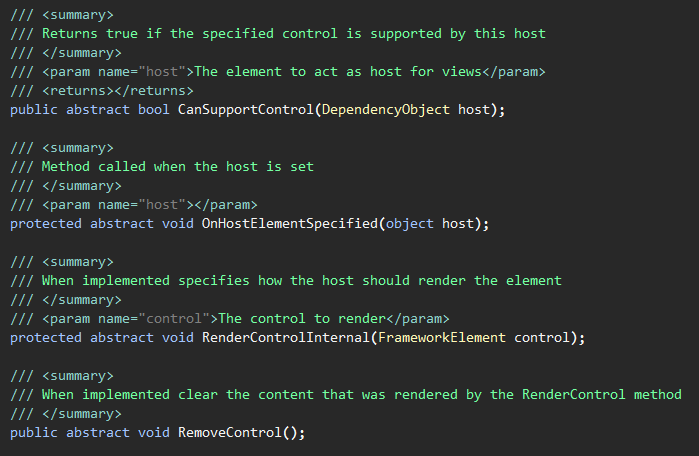 The only case where you would want to override this behavior is if you want to ignore the DesignTimeCatalog attribute. This is not suggested since not only it will slow down a lot the composition since blend loads many assemblies but it can also cause exceptions in Silverlight. I am open for suggestions so if you have any please let me know. How can I create a Composer? 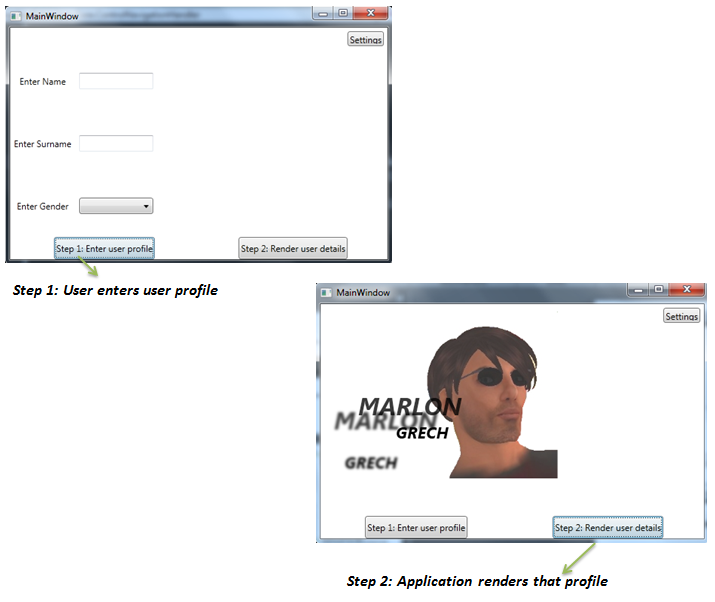 You do so by implementing the IComposer interface which looks like this. In the InializeContainer you should put the code to initialize the Container and call CompositionHost.Initialize. 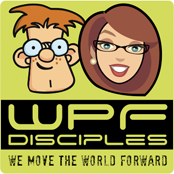 (For WPF there is a catch that I will explain in the WPF section of the post). What do the default MEFedMVVM composer do for SL? The DesignTimeComposer will load all the assemblies that are decorated with the DesignTimeCatalog attribute in the AppDomain of Blend by using a trick explained here and create a CompositionContainer with MEF AssemblyCatalogs. So even if you have multiple XAP files MEFedMVVM will still get resolved as long as you put the DesignTimeCatalog attribute. If you forget to do this MEFedMVVM will put a message in the output window saying “No assemblies found for Design time. Quick tip… do not forget to put the DesignTimeCatalogAttribute for the assembly that contains your design time stuff. Even if its just a ViewModel you want to load.”. Yet in order to get this you need to have Blend attached with VisualStudio. (I am working hard on a solution to make this more obvious). The Runtime Composer does not do anything. No really! It does not. The implementation simple returns true in the InitializeContainer method. This is because in SL CompositionInitializer.SatisfyImports (a class that is not present in WPF since WPF does not have System.ComponentModel.Composition.Initialization.dll) will create a container from the existing XAP. So if you want to override the Runtime behavior for the SL version of MEFedMVVM you do not even have to call LocatorBootstrapper.ApplyComposer because for SL this is not doing anything anyway! 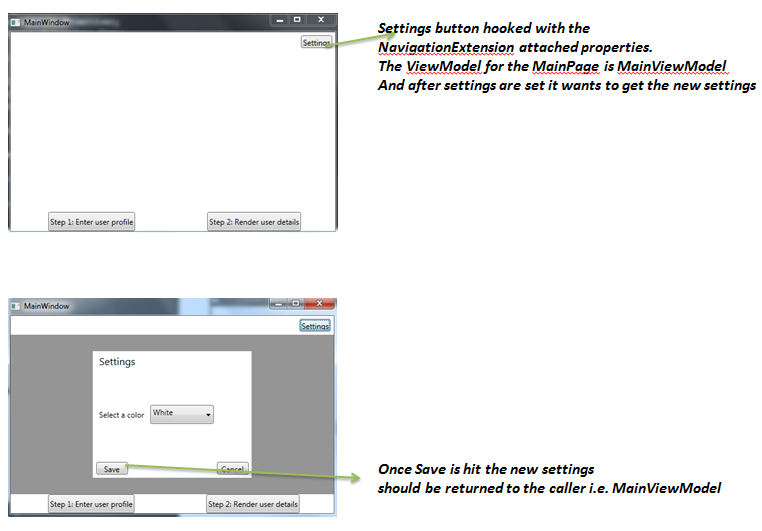 But for the code to be the same for SL and WPF maybe its best if you do the call. What do the default MEFedMVVM composer do for WPF? The DesignTimeComposer will load all the assemblies that are decorated with the DesignTimeCatalog attribute and create an AssemblyCatalog for each one. If you forget to put the DesignTimeCatalog attribute MEFedMVVM will put a message in the output window saying “No assemblies found for Design time. Quick tip… do not forget to put the DesignTimeCatalogAttribute for the assembly that contains your design time stuff. Even if its just a ViewModel you want to load.”. Yet in order to get this you need to have Blend attached with VisualStudio. (I am working hard on a solution to make this more obvious). The RuntimeComposer will create a DirectoryCatalog for the AppDomain base directory and also checks if there is an Extensions folder and if so it will create a DirectoryCatalog for that folder as well. So yea if you have a set of plugins that are not being referenced by the main application, you do not even need to override the default behavior since you can make the plugins compile in an Extensions folder and MEFedMVVM will still load those assemblies. This is the code that creates the MEF catalog for the Default WPF Runtime Composer. If you fail to do so MEFedMVVM will not resolve the ViewModels and the Services since MEFedMVVM using ExportFactory to get the imports. Enough talking (well as such its blogging 🙂 ) give us some code! I did 2 samples one for Silverlight by using DeploymentCatalog to load assemblies from different xap files and one for WPF using DirectoryCatalog to load plugins from a folder called Plugins (this was just to show how you can do it because as such I could made the plugins compile in a Directory called Extensions and it would still have worked). The source can be found in by download the code from http://mefedmvvm.codeplex.com/SourceControl/list/changesets there is a folder samples where you will find these 2 samples. As you can see MEFedMVVM can also be used in more advanced scenarios where you want control over the MEF Composition of Catalogs. The default composition will work for most of the apps, yet for some (such as multiple XAP SL applications) you must have control over the composition. Download MEFedMVVM and start MEFing it up!